Now you can make professional printing easy, cost-effective, and reliable with the Canon 0628B002. This PGI-5 pigment black ink tank features an advanced formula that reduces streaking and fading. For sharp blacks, smooth grays, and crisp pages, you can rely on the Canon 0628B002. 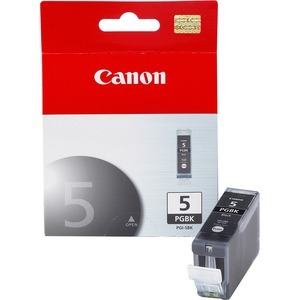 The components in this ink tank are specifically designed for the Canon PIXMA iP4200. This item is non-returnable.